Its location in the very heart of imperialism and reaction gives the proletariat of the United States a vital role to play in the world revolutionary process. 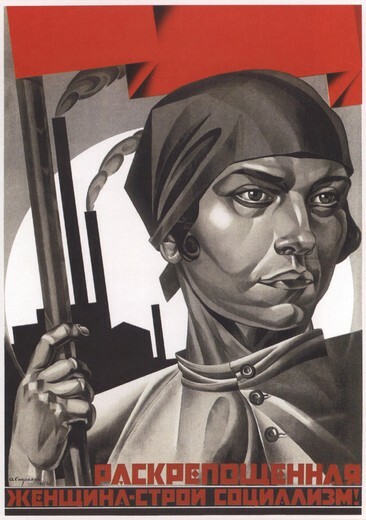 However, and perhaps for that very reason, efforts at creating a revolutionary vanguard party in the United States have been frustrated and derailed through the infections of Trotskyism, class collaborationist Social-Democracy, liberal/academic “theories,” and that most “American” form of revisionism, Browderism, into the American left, working class, and popular movements. 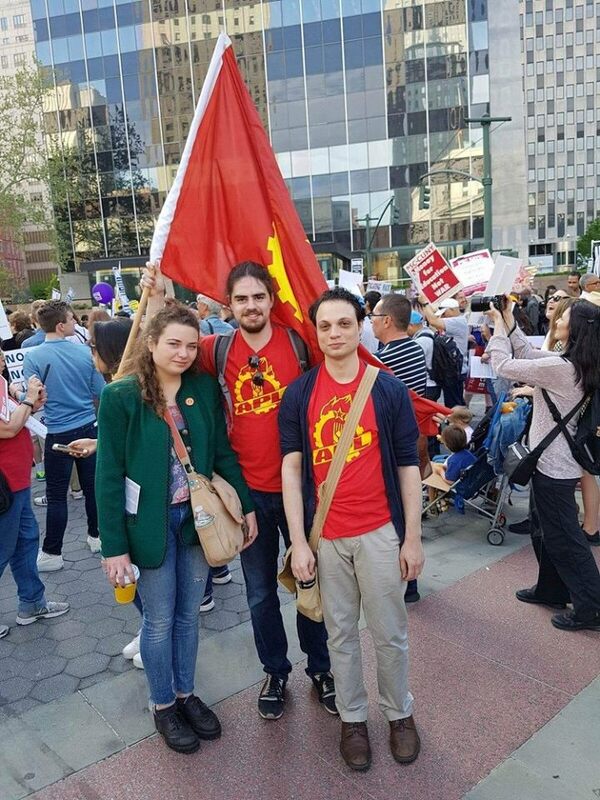 The APL represents an attempt to overcome the poisonous legacy of revisionism and to create a genuine Marxist-Leninist Communist Party, free of all revisionist trends and tendencies, in the United States. The long-term origins of the American Party of Labor are in the struggles fought by the legendary American Marxist-Leninist William Z. Foster against Browderism. Comrade Foster’s aid and personal secretary was the Spanish Civil War veteran and seasoned revolutionary militant, Jack Shulman. Sent by Comrade Foster on numerous missions, both within and without the United States, to investigate the damage done by Browderism, Comrade Shulman was able to report on the lingering infection of Browderism inside the Communist Party, USA (CPUSA) and in various Communist parties in Latin America. With the rise of Khrushchev, the battle against revisionism intensified. Only this time, revisionist elements within the CPUSA had the support of the new Soviet leadership. The death of Comrade Foster in 1961 saw the final triumph of the Khrushchevite/Browderite faction in the CPUSA, led by Gus Hall. That same year, Comrade Shulman resigned from the CPUSA and travelled to China and Albania to assist the burgeoning world anti-revisionist Marxist-Leninist movement. 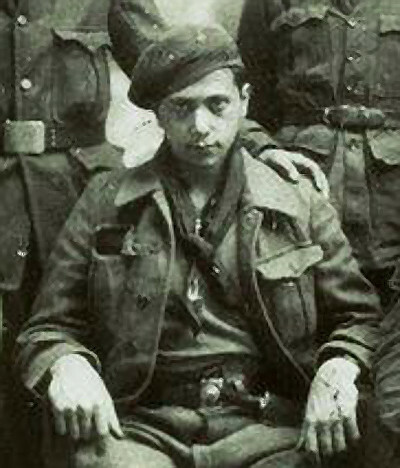 Jack Shulman in Spain, prior to the Battle of Brunete. After spending some time in Albania, Comrade Shulman moved to China in 1968, working as an editor of English language publications during the Cultural Revolution. Concluding that Maoism itself was a variant of revisionism, Comrade Shulman revisited Albania, and returned to the United States, where he published Albania Report, distributed political and cultural material from the People’s Socialist Republic of Albania, and was instrumental in organizing the USA-Albania Friendship Association. Towards the end of his life, (Comrade Jack passed in 1999) he was associated with the British Marxist-Leninist William “Bill” Bland, and he aided in the formation of Alliance Marxist-Leninist (North America). In 2008, former political associates of Comrade Shulman, and individuals influenced by his work and that of Alliance Marxist-Leninist, founded the APL. From the time of its founding in 2008 to 2012, the APL underwent several internal struggles against revisionist and incompetent elements within the Party. The APL achieved its present form, both structurally and politically, in 2014. This restructuring was ratified at the 2016 Party Congress. In November of 2018, the APL was granted Observer status in the International Conference of Marxist-Leninist Parties and Organizations (ICMLPO). The American Party of Labor upholds anti-revisionist Marxism-Leninism as its official ideology and world outlook. As a Marxist-Leninist party free of all revisionist trends, the Party’s ideology includes rejection of anti-Marxist ideologies such as Kautskyism, Titoism, Trotskyism, Browderism, Khrushchevism, Eurocommunism, Maoism, and “Socialism of the 21st Century.” Our Party is based on scientific socialism as formulated by the classics of Marxism; Karl Marx, Frederick Engels, Vladimir Lenin, and Joseph Stalin, and enriched by figures such as Enver Hoxha, Che Guevara, and Ho Chi Minh, as well as countless other revolutionaries that have dedicated their lives to the defeat of capitalism and imperialism and the advancement of socialism. The APL is a revolutionary communist party that stands for socialist revolution, labor organization, social justice, women’s rights, LGBTQ+ rights, and fights for the rights of the international working class. The APL is an anti-imperialist party that opposes all imperialist wars. Our opposition to global imperialism takes on a special character in the belly of the leading imperialist power in the world, which is deeply entrenched in growing militarism and has begun its inevitable march towards fascism with the rise of the Trump regime. The current economic and national crisis has manifested in increasing exploitation of the working class, denial of social services, unions, and healthcare, increasing repression by the government, police murder and racism against African-Americans, xenophobic immigration policies, curtailing of women’s rights and reproductive rights, murder and state-sanctioned discrimination against LGBTQ+ individuals, and many more reactionary developments, all of which are linked to the rule of monopoly capital in the United States. The conflict between Marxist-Leninists and revisionists, as well as rising fascism within US, imperialism, Russian imperialism and Chinese social-imperialism abroad, and their supporters within the revisionist left, are some of the most important questions of our era. The far-right in our country has been provoked by the victory of Trump, and soon they will control all three branches of government. Recent legislation against labor unions and the images of separation of immigrant families, which shocked the world, attest to this. Amid mass protest and horror, the Trump regime passed an executive order claiming to stop the policy; but, in reality, only paved the way for families to be detained indefinitely together. U.S. aggression continues abroad with its wars in Afghanistan, Libya, and Syria, and its backing of the Saudi genocide in Yemen. Meanwhile at home fascist terror has begun, with the police murdering without accountability, the military being given a $700 billion budget while underemployment skyrockets, systemic racial discrimination goes unchecked, the gap widens between the rich and poor, and serious infringement of civil and voting rights have meant the curtailing of U.S-style democracy. 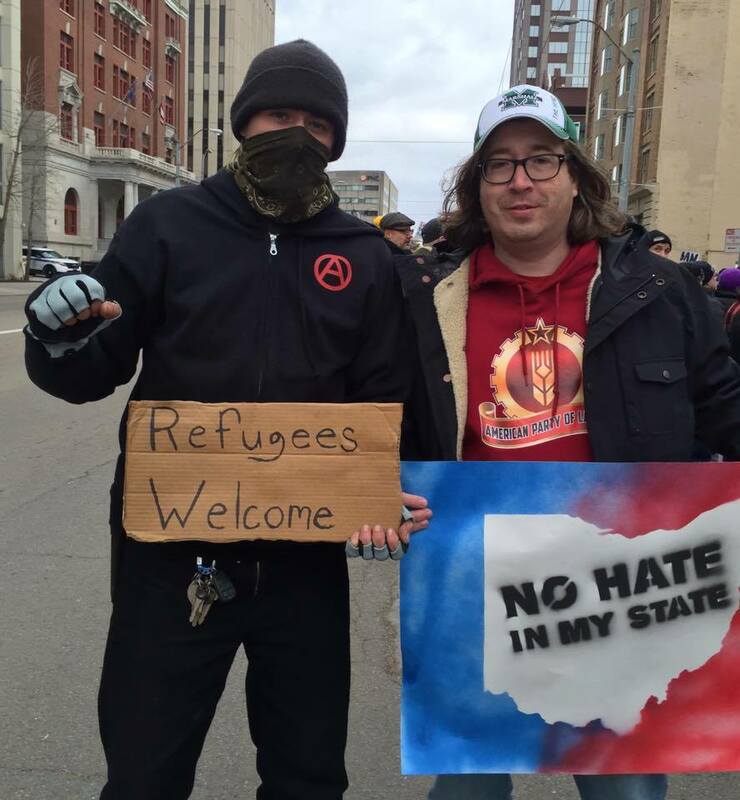 The American Party of Labor stands against fascism in all its forms, against the Trump regime, and upholds the line, “No Platform for Fascists!” We state our full commitment to the popular struggle against fascism, reaction, national oppression, police murder, and poverty, and stand with the working classes of other countries exploited by U.S. imperialism in this way. Chinese social-imperialism is also on the march in Africa, Latin America, and Asia, opening its first foreign naval base in Djibouti last year and now annexing territory from Sri Lanka in order to secure payment of its debts. China has continued to ensnare other countries in Asia, Latin America, and Africa through debt-trap imperialism, plundering their natural resources, crushing workers’ rights, and arming reactionary regimes, all the while posing as the “great liberator” of oppressed nations. The peoples of the world know that capitalism is being built in China, not socialism. The reforms initiated by Deng Xiaoping were never intended as temporary concessions but as a permanent shift back to capitalism, which has long since become fully re-established in all but name, as over a billion people continue to suffer in conditions comparable to those in other capitalist countries. In his new year’s speech, Xi Jinping pledged his commitment to Deng’s reforms, and as we speak, he is travelling through the Middle-East and Africa, signing new trade deals, and even signing a lucrative deal with Israel. Many “Marxist-Leninist” parties in the United States still maintain support for China and Russia as counter-measures to U.S. imperialism, but the American Party of Labor, given the information highlighted here, stands opposed to all imperialism, including Chinese social-imperialism and Russian imperialism. Adding to the confusion among the North American revisionist left, Russia poses as an anti-imperialist power even as it practices imperialism itself, intervening in the conflicts in Syria and Ukraine. Backing the Assad regime against the heroic Kurdish struggle; acting in the false name of fighting ISIS. Waging a proxy war in eastern Ukraine, following their illegal military annexation of Crimea – mercilessly invading and acting as though they are a savior, inflating their own violent nationalism. Russia also extends its reach by backing far-right parties and candidates in European countries, like Marine Le Pen and her National Front Party in France, Jobbik in Hungary, Golden Dawn in Greece, the Freedom Party in Austria and others. All in hopes of destabilizing the countries to bring more autocratic right-wing regimes sympathetic to Moscow to power. 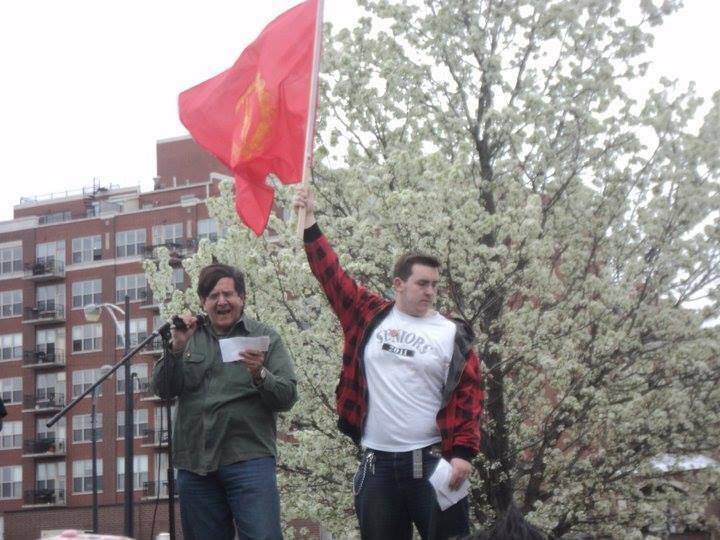 The American Party of Labor stands in unflinching solidarity with the rights of those nations oppressed by American, European, Chinese, and Russian imperialism. An analysis of the way the revisionists succeeded in bringing about the collapse of socialism and the degeneration of the USSR and the international communist movement is essential to the task of building a Marxist-Leninist movement free of all revisionist trends. 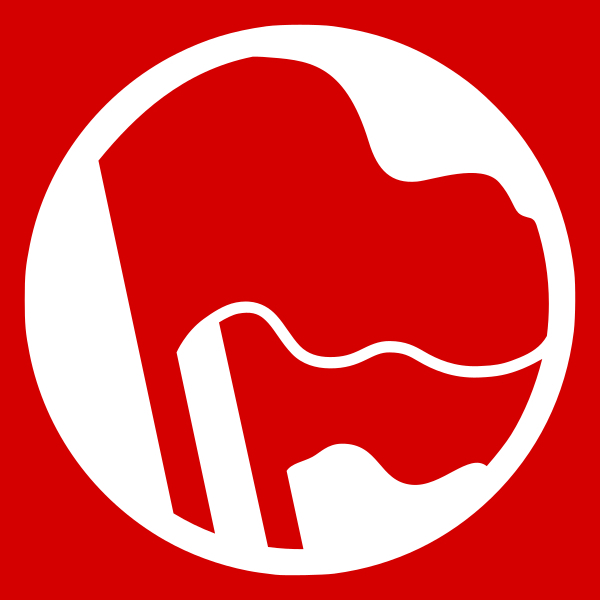 The APL, its comrades, and the international working masses reject the so-called “Socialism of the 21st Century” and “pink tide,” manifested by the governments of Nicaragua, Venezuela, Bolivia, Ecuador, and Brazil, as another opportunist and revisionist trend on behalf of the bourgeoisie. The continuing working class unrest, corruption, unemployment and other social-economic crises in these countries are a testament to the failures of social-democracy. Penetration of U.S. and Chinese capital into these countries, and the reactionary offensives by the right, have made it painfully clear that “Socialism of the 21st Century” will never be able to fundamentally challenge the power of capital. The APL believes that only the socialist revolution by the proletariat and led by a Marxist-Leninist party can abolish capitalism and build communism. 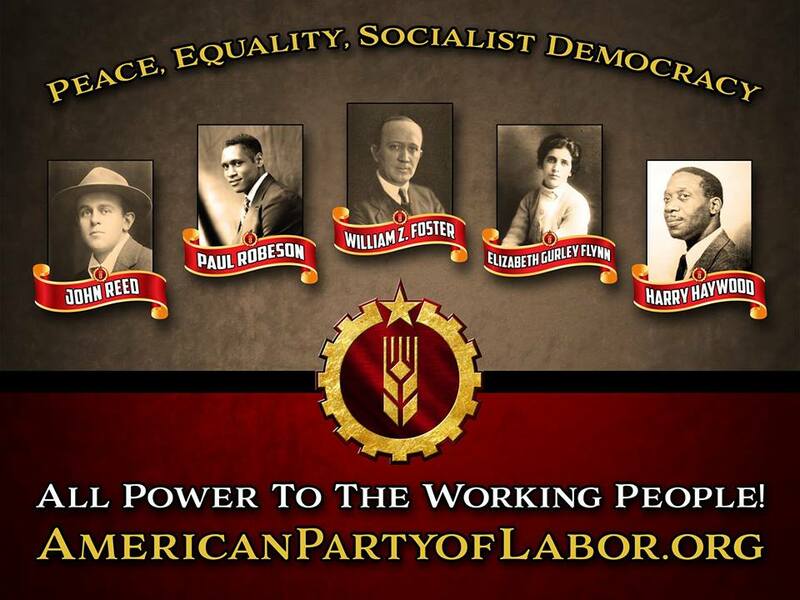 The American Party of Labor has taken on many political activities among the masses, created sustainable community programs, and continues to grow each Division. One major project which serves as an engine for our growth in working class circles is the Red Aid: Service to the People program, which seeks to provide the homeless and poor working class people with food, clothing, and assistance. This program has been established in multiple cities and has been able not only to provide basic needs but has helped some of the most exploited and targeted citizens secure jobs, apply for housing, and other state benefits. The Party has worked with and supported various labor unions in their fights against the capitalists, and when on strike. Various branches of the Party across the country have worked with teachers, transit workers, and heavy industry workers. Most recently, the Party worked to cultivate support for the United Steelworkers. The Party has also organized and helped organize various public demonstrations surrounding important national issues, such as the Dakota Access Pipeline, the growing threat of fascism, and American imperialism. The Party has worked in coalitions against fascism in Illinois, Texas, Oregon, and Florida. The Party has also organized demonstrations around more general issues so as to propagate the Marxist-Leninist line. Such activities have included anti-imperialist protests on Columbus Day, anti-capitalist marches, and organizing the largest celebration in the country of the October Revolution in New York City. The APL has worked actively in and with coalitions around the country. 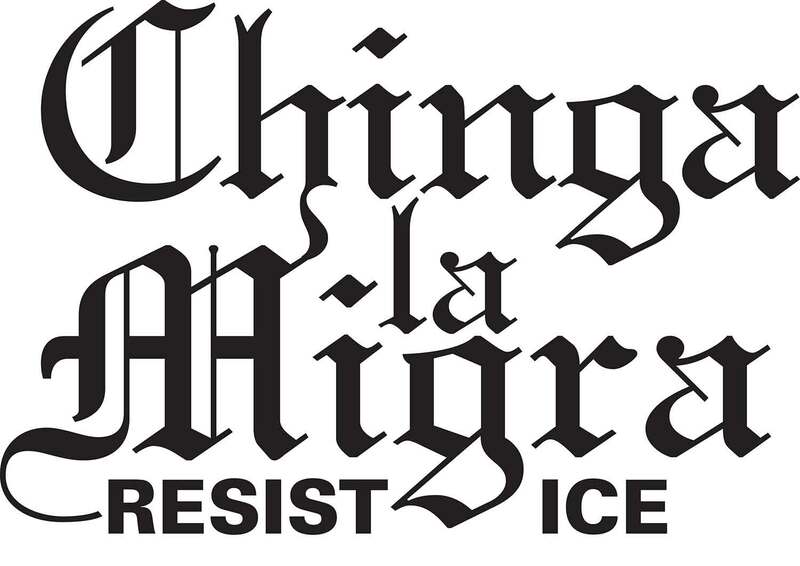 The Party has successfully worked with Community Control of Police, a number of branches of Students for a Democratic Society, the Green Party, NJ Coalition Against Endless War, Black Lives Matter, The Young Lords, Orlando Workers League, Industrial Workers of the World, and dozens of trade unions such as the American Federation of Teachers and the Brotherhood of Locomotive Engineers. In everything we participate in, from mass organizations to trade unions, our members have always worked as Marxists-Leninists and attempted to push the struggle forward by being disciplined Marxist-Leninists and Party members. The Party has also been leading an openly Marxist-Leninist student organization called The All Marxist-Leninist Union. By working with all of these different sectors of the population, the American Party of Labor continues to grow its presence and legitimacy among the most oppressed in our society, amongst the various divisions of the working class, in the struggle for women’s and LGBTQ+ rights, and with the youth. The Party has done so as dedicated Marxist-Leninists and has conducted itself against revisionist and reactionary tendencies alike. With every action the Party takes, qualitative and quantitative change takes place within our party and within the movements and working class communities we work within, which puts our development on track towards building the vanguard party in the United States. These past ten years are only the beginning. The APL vows that it will continue to be a devoted and steadfast Marxist-Leninist party, a loyal member of the international Communist community, and that we will strive to rebuild our movement, and help lead it to victory and socialism.